GALION — On May 3, the National Day of Prayer, the doors to St. Paul United Methodist Church, 746 Cherry St.,will be open from sunrise (6:27 a.m.) until sundown ( 8:29 p.m.) so people of all faiths and schedules can stop in and pray. Pastor Ash Welch said there will be people available to talk with or to answer questions if visitors have questions about where or how to pray. 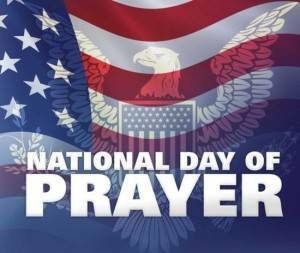 The National Day of Prayer is celebrated by Americans of many religions, including Catholics, Christians of many denominations, Hindus, Jews, Muslims, and Sikhs reflecting the religious diversity of the United States. The modern law formalizing the National Day of Prayer was enacted by President Harry S. Truman in 1952. President Ronald Reagan amended the law in 1988, designating the first Thursday of May each year as the National Day of Prayer. The history of the National Day of Prayer dates back to the Second Continental Congress from 1775 until 1783. The National Day of Prayer shares common roots with the celebration of Thanksgiving.